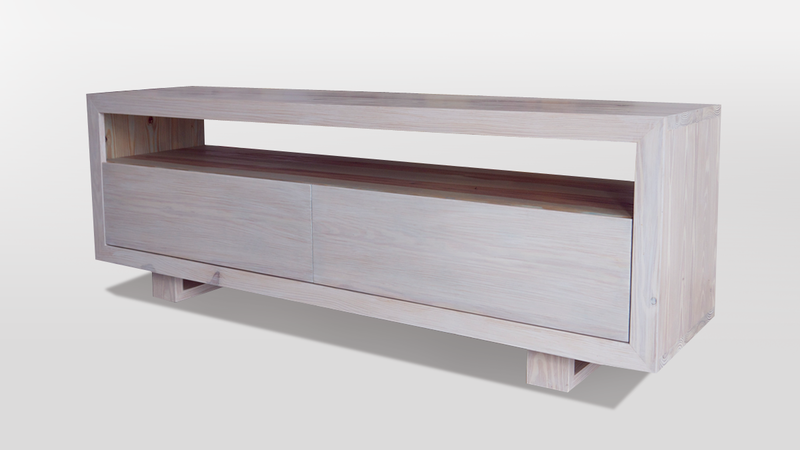 Modern TV table with sharp corners. Equipped with two big front drawers for all your DVD’s, remotes and magazines. The 15-cm sleeve can hold all your equipment and is open in the back for ventilation. Measures 136-cm length by 34-cm width by 85-cm height. 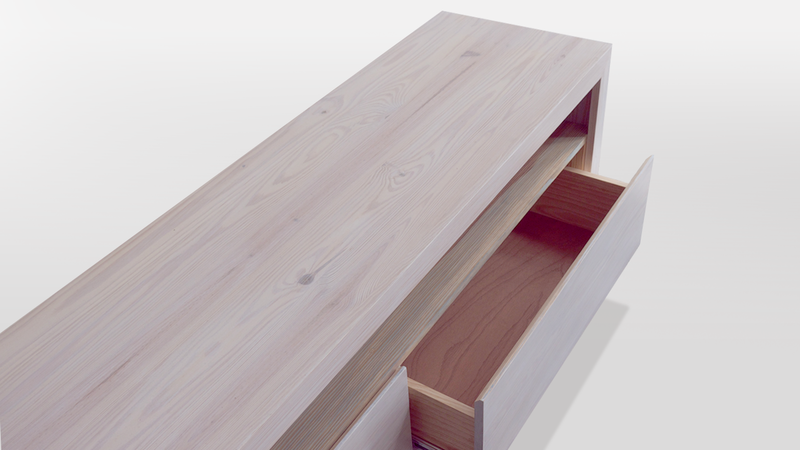 Customization options: Customize your TV table in dimensions or paint styles that fit your living space. 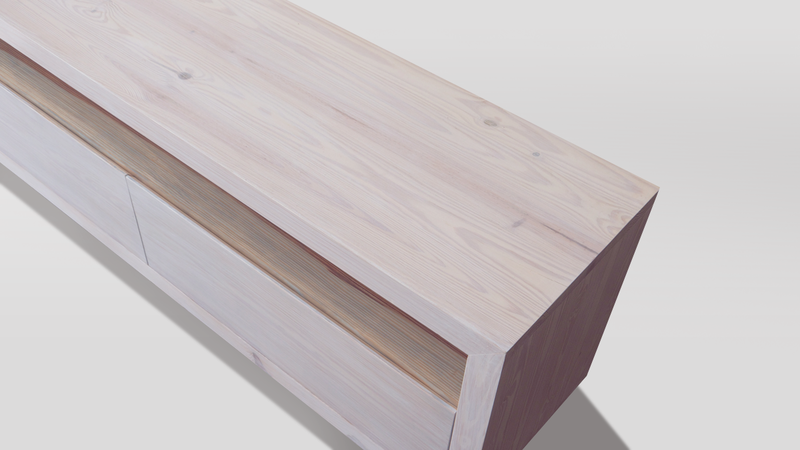 You can choose from different wood types like Miranti, Mahogany, Cedar or Pine.